The Stone County courthouse was originally built in 1918 and is still being used today. The courthouse is where the Chancery Clerk's office, where property records are filed and kept, and the Circuit Clerk's office, where marriage records are stored. The courthouse is located at 323 E. Cavers Avenue in the county seat of Wiggins, MS. While marriage and property records are maintained at the county level, birth and death records are available at the state level from the Department of Health's Public Health Statistics department in Jackson, MS. The department provides access to records for research purposes, as well as certified copies to qualified individuals. 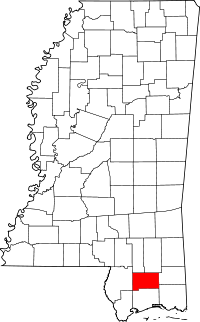 For additional research, the Mississippi Department of Archives and History, also in Jackson, has indexed records older than those available at the county and Health department levels, some dating back to the early 1800s. They provide many online, as well as operate a research library.